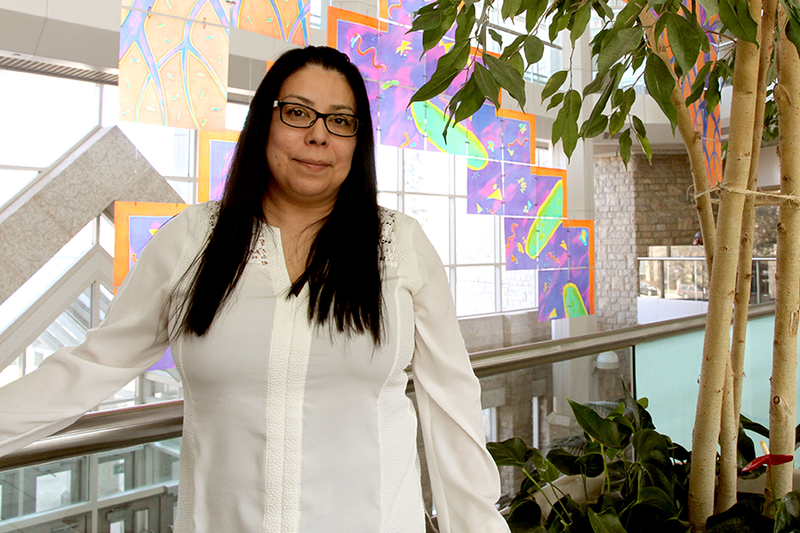 As the co-ordinator of Aboriginal programs and outreach in the College of Agriculture and Bioresources, Candice Pete has played a large part in advancing the college’s Aboriginal engagement strategy. Pete started at the U of S in 2007 as director of the Indigenous Peoples Resource Management (IPRM) certificate program within the college. Specifically designed to train Aboriginal land managers, the program boasts more than 200 alumni during its decade run in the college. "I'm really proud of the program," said Pete, originally from the Little Pine First Nation. "I thought it was great, in terms of building capacity. It's relevant in terms of taking a look at the legal environment on reserves and comparing it to the provincial crown lands surrounding. I thought that was very unique and positive because there's that relevancy for First Nations land managers across Canada." In conjunction with the development of the college's Aboriginal engagement strategy, the IPRM curriculum was revamped in 2012, and the program was renamed Kanawayihetaytan Askiy (Cree for "Let us take care of the land"). Pete was especially involved in this process, which consisted of extensive consultation with colleagues all over campus, as well as from First Nations communities across the province. That consultative knack comes easily to Pete, who has a master's degree in public administration and extensive management and policy experience with Aboriginal Affairs and Northern Development Canada. "We asked what kind of support services we should have in place so that students have a positive post-secondary experience," she said. "We also asked about how to incorporate traditional knowledge and from there, we collected a lot of wonderful feedback." Pete acknowledged that this feedback—especially from the Aboriginal communities served by land managers—played a vital role in shaping the program. "It's critical. If we want the post-secondary to be positive, it has to be relevant so that people are interested in the program itself." Pete is also working on two new diploma programs for the college, currently in the approval process—Aboriginal resource management and Aboriginal lands and governance. Given the relevancy of both subjects, if approved, she hopes they will attract a variety of potential students—"anyone that's interested in Aboriginal lands and resources."